My name is John Grayson Heide. 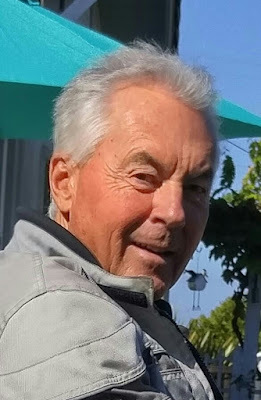 I'm 67 years old and live in Sonoma County, Northern California. I graduated Sonoma State College a long time ago and earned a living by selling real estate and natural foods products. In school, I was always good at English. Maybe because I talk to myself a lot. Sometimes I listen. All I really want from my writing career is to have my one and only book which took 8 years to write and re-write dozens of times, be critically acclaimed by recognized authors and critics. I also harbor a not so secret desire to have this book made into a movie. I would love to see Jack Nicholson play Guy, or perhaps Dustin Hoffman or J.K. Simmons. I had to a lot of research about Florida and flying, since I have little experience with either one. 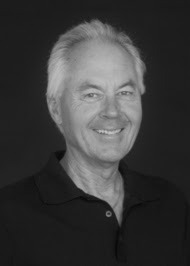 My main character Guy Pickering, a sturdy, stand up kind of man deeply in love with his ailing wife. 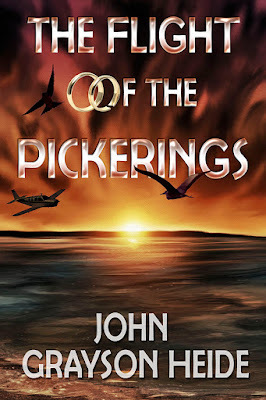 The Flight of the Pickerings is based on a dream which came at a time of extreme stress in John's life. He was living in paradise (Hawaii) and watching his life savings evaporate. Negativity abounded, but the dream/story would not let go and John felt the increasing need to write it out. In writing, his life re-focused on bigger and better aspects and helped him move on. The process of crafting a novel has many ups and downs, but for John, it was almost as if he had no choice. The story needed to be told and after 8 years of steady re-writing, he's finally happy to share it. I typically write on a computer and let it roll. Sometimes I have no idea where the writing will take me. Currently I am reading "Norwegian by Night" by Derek B. Miller. And Spider World by Richard Bunning. I had my book professionally edited by Jim Dempsey of Novel Gazing. I will always use an editor. It's important to have more than one set of eyes. I always let the story "stew". Coming back after a break always gives fresh insight to the topic and dialogue. I'm very happy with my book cover designed by Renee Barrett. She captured the feel of the novel very well with the sunset and the broken rings. Right now I'm self published because that's the best way to launch a book these days. I hope to catch the interest of a publisher. I'm not so good at promotion, it's a job in itself that takes away from my writing time. (Bummer). Asking for reviews has been somewhat successful, but also hit and miss. I've done one podcast on Aging Boomers and I'm scheduled for another pretty soon. I can't imagine why anyone else would be interested in how I relax, but what I do is drink a good craft brew. IPA is my favorite. A walk is good as well. I am lucky to live on a big piece of land with exceptional views of the California bay area. I never get tired of that. In five years I see myself doing the same thing except part time in Mexico and part time in California. My advice to aspiring authors is "Just do it, and then go back and do it again". Writing is re-writing and keep refining what you already thought was just fine.